sailboat. : What's in my bag? Cross body bags are the best. No faffing around with something constantly falling off my shoulder. Nothing hanging off my elbow that I may accidentally hit other people with as I'm walking past. I'm all about the hands free, don't even know I'm carrying anything life. 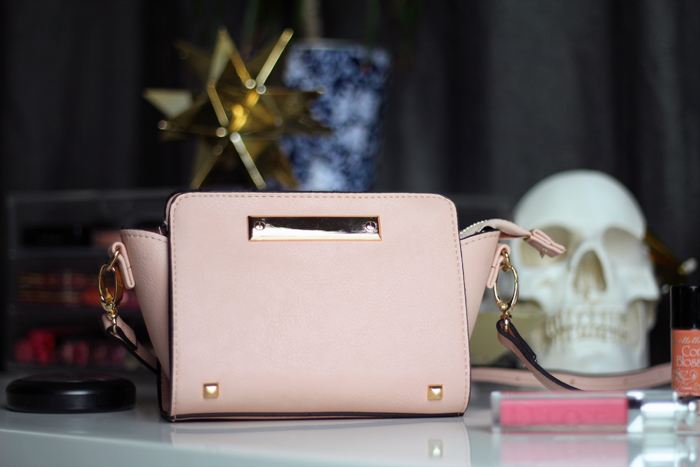 And as far as affordable cross body bags go, this one from Miss Selfridge isn't bad. The strap is long enough for my 5'10 long-bodied frame, which is a small miracle in itself and although it's not my preferred colour of black, it's neutral enough to work with my wardrobe. • Little bit of cash for emergency sweets or something! I'm not sure why more than one lipgloss is necessary but it could definitely be a lot worse. I'm sure at one point I had at least 7 lip products in my bag at any given time. Please excuse my brick of a phone. I'm not into smart phones, this one has snake and the battery lasts 2 weeks at a time so it works for me! 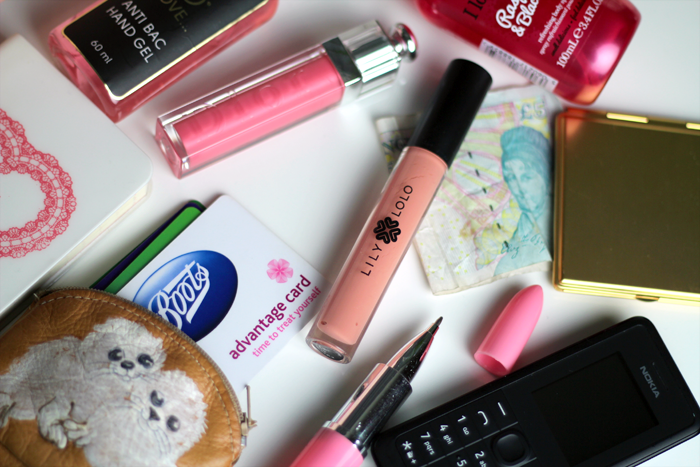 Do you somehow end up with multiple lip products in your bag? Aww your little seal coin purse is so cute! That bag is gorgeous! 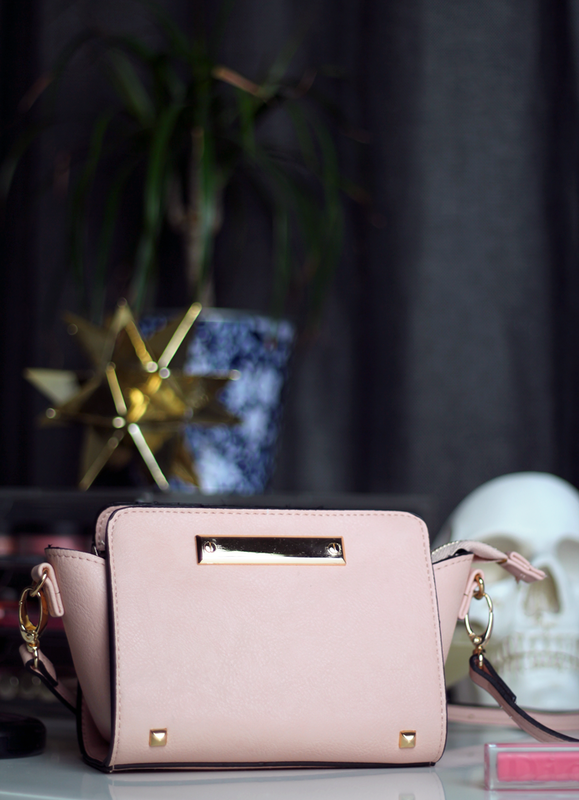 I don't strictly need a new handbag but I might just have to take a little look at Miss Selfridge's selection... And I love that you've resisted the smartphone. Instagram was too much of a lure for me! Your comment about your phone made me laugh. Ah, the days of snake. An iPhone just can't beat that. Aw your coin purse is so cute! Wow I'd totally forgotten that before smart phones, batteries lasted that long. I'm awful for hoarding lip products in my bag too. Having 7 lipsticks is absolutely nothing. That little bag is so cute! Love the bag! Was the color theme accidental or on purpose? It's photographs great either way! I've learnt I'm much more drawn to pink objects than I thought I was! Great post, I love your bag too! 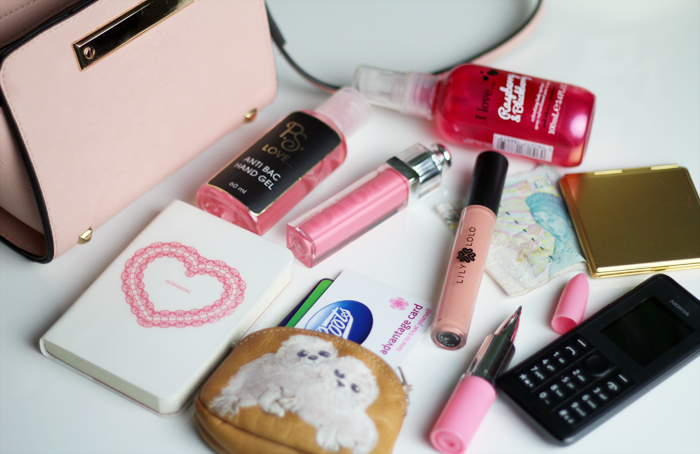 I always have a ton of lip products in my handbags, you arent the only one! I LOVE that bag! So tempted to order it. And huuuuge respect for you using the Nokia phone! That is a lovely bag, what a pretty colour. Your stuff looks so neat and ordered! I attempted to do a whats in my bag post once and after tipping my bag out everything was just gross, old or covered in rubbish and I was so horrified I just shoved it all back in.